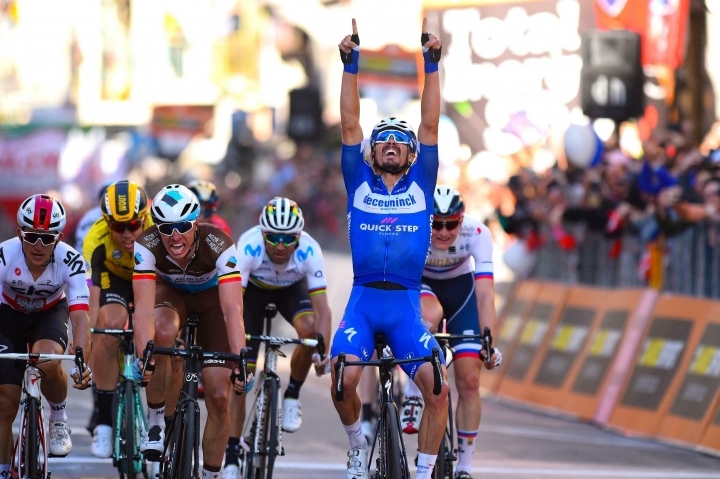 SAN REMO, Italy — French rider Julian Alaphilippe confirmed his status as the top cyclist so far this season by winning the Milan-San Remo classic on Saturday. 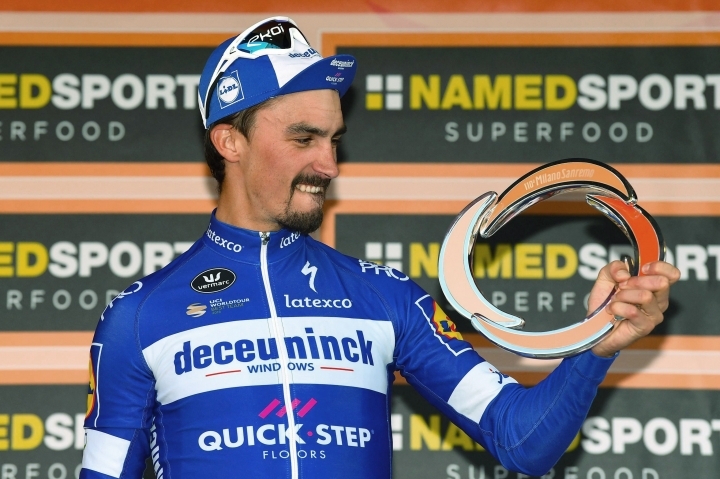 It was Alaphilippe's seventh win this season, adding to his Strade Bianche title this month and stage wins in the Vuelta a San Juan (2), Tour of Colombia, and Tirreno-Adriatico (2). 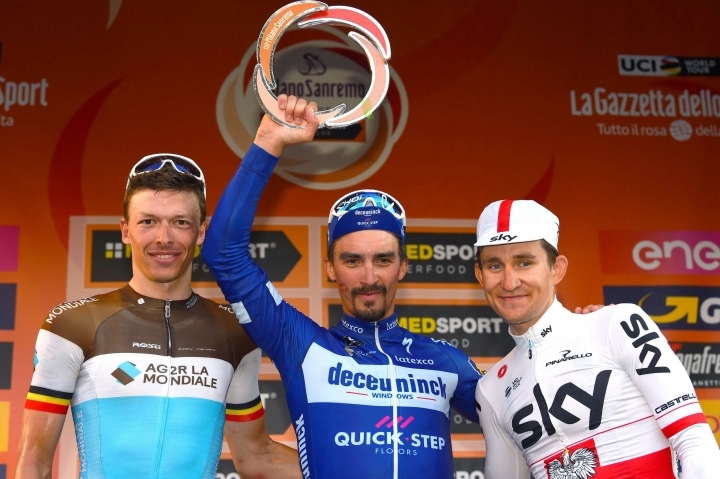 "I will need some time to realize what I have achieved today," Alaphilippe said. 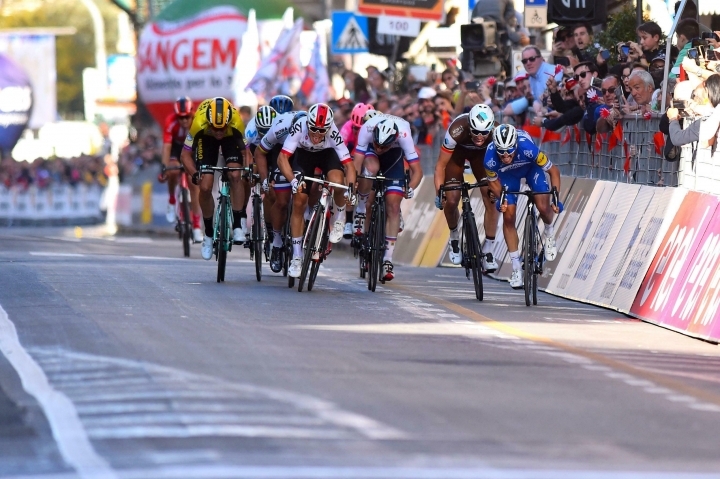 "We made the race hard and I stayed focused. ... I made no mistake. It's unbelievable."